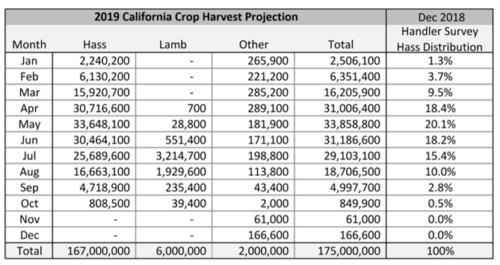 Estimate and weekly harvest projections for the calendar year (January 1 through December 31) and this year’s 2018-19 California avocado crop is expected to fall short of the 2017-18 season output by nearly half. The California Avocado Commission 2018-19 preseason crop estimate for all varieties is 175 million pounds, with an estimated 167 million pounds of the hass variety, Jan DeLyser, vice president marketing of the California Avocado Commission, said in a statement. 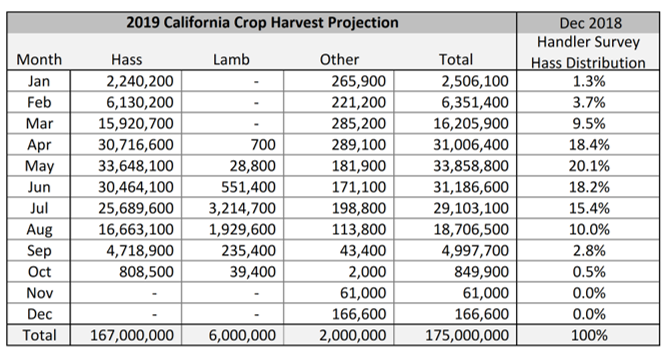 Avocado production in the state of california by county. Ventura County leads the state in terms of volume. 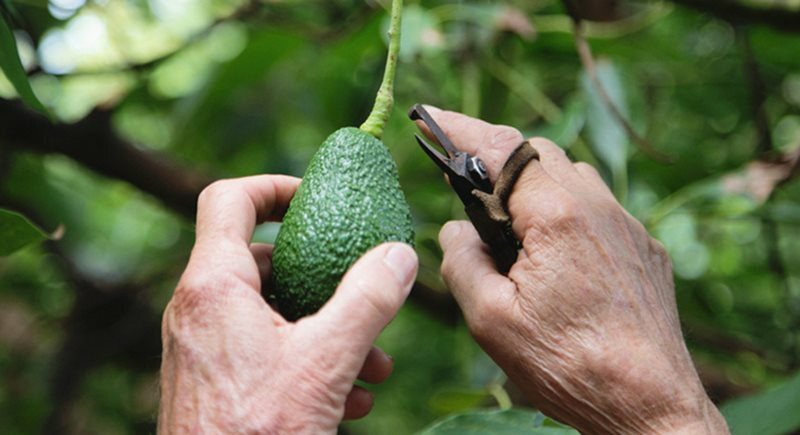 California produces (grows) 90% of the avocados in the United States. 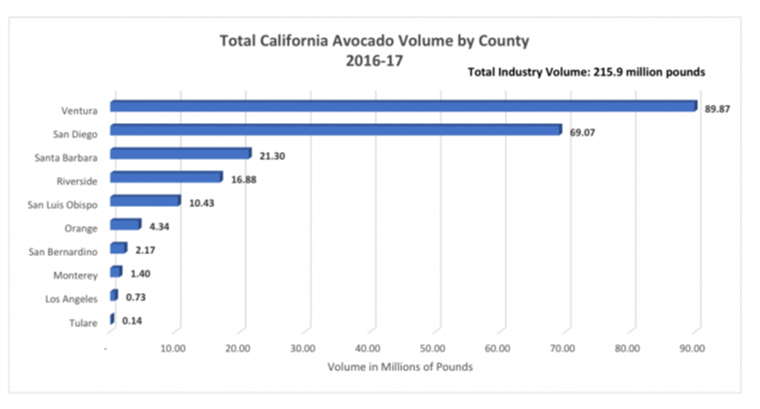 Ventura County is the largest producer of avocados in the state of California followed by San Diego and Santa Barbara. Mexico is the largest growing region for avocados in the world.